We give you the treatment you need to feel better and the knowledge you need to maintain your health. Our services, advice and instruction are invaluable. Come to our office to see how we can help you get back to a normal way of living and start to experience what it’s like to be pain-free. Adjustment is a term used to describe the application of a precise force to a specific part of the spine or extremity, correcting the subluxation, allowing for normal nerve transmission, and assisting your body to recover on its own. At Boots Chiropractic we will educate you about chiropractic care and answer any questions you may have. We use advanced and innovated techniques to safely and effectively correct any subluxations. In addition to chiropractic care we may also educate you on our Wellness Center and discuss how to eat better, workout, and tips for a healthier lifestyle. Any time we learn something new; we want to share it with you. Specific to our office is the specialization in Instrument Adjusting Techniques. 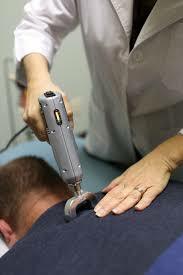 Unlike many chiropractors who twist and pop, our doctors are highly trained in instrument assisted adjusting. These tools are over 100x faster than the average manual thrust, allowing for the use of less force – making for a gentle and specific adjustment. Some wonder if repeated chiropractic adjustments will lead to arthritis, but actually it is the lack of motion associated with subluxations that leads to many cases of arthritis. Chiropractic adjustments restore proper motion to the joints, actually helping to prevent or slow down the effects of arthritis. Just remember, motion is life when it comes to joint health. With a normal nerve supply the body’s natural healing capacity can improve a variety of health problems.